Hit “OK” and build the application. Once build successfully, just run the app to see it in action. You should see the following. Let’s take a close look at the application structure and how ASP.NET Core is running this react app. Below is a screenshot of the react application structure. The ClientApp subdirectory is a standard React application so you can run npm commands such as npm test or npm install. The src folder has various react components which build the UI layer. In the ClientApp folder, you can see the main component App.js and its associated test suite (App.test.js). Here, index.js provide an entry into the App and also kicks off the registerServiceWorker.js. This service worker takes care of caching and updating files for the end-user. Here, we’ll not be looking at the code of every react component. But, the FetchData.js component is worth to mention. This component calls the ASP.NET Core Web API in the constructor to get the weather forecast and the set the state to display the list. Every React components implement a render() method that takes input data and returns what to display. The component can maintain internal state data (accessed via this.state). When a component’s state data changes, the rendered markup will be updated by re-invoking render(). The FetchData component’s render method passes the state to the another static method which renders the weather forecast list. The ASP.NET Core runs this react app differently in the development mode and production mode. In development mode, the react development server runs in background automatically, so your client-side resources are dynamically built on demand and the page refreshes when you change any file. To understand it better, execute the dotnet run command, you’ll notice that the react development server runs by ASP.NET Core SPA services. This is due to the code written in the Startup.cs class’s configure method. The UseSpa middleware runs the react development server in development mode. So every time you run the application, the react development server runs in the background. This increases the compile time for the application. The other problem is, in case of any C# code change, we need to restart the application and which will also restart the react development server. To speed up things, the react development server can be run as a standalone process. You can connect to it from the ASP.NET Core application. To do that, navigate to the ClientApp directory on command prompt and run npm start command to start the react development server. The above code tells that in production mode, the react files will be served from the ClientApp/build directory. And this directory should be created once the application is published. So, let’s publish the application and deploy it on IIS. To publish the application first, change the environment to Production and set the configuration to Release mode. Now right-click on the project and select Publish. Choose the publish target as Folder and provide the folder path. Once the application is published, navigate to the published folder and you will find the build folder created inside the ClientApp folder (as mentioned in the Startup.cs file). You can run the published app directly to find out no errors in published code. Run dotnet <dllName> command to run the app directly. Before starting the deployment, make sure .NET Core 2.2 Runtime & Hosting Bundle is installed. Now, let’s deploy the application on IIS. First, create an application app with No managed code. That’s it. You can browse the application and the react application should be running successfully in the browser. Thanks for the article. It help me to understand how to create react app using visual studio. This article is exactly what I was looking for. However, I am working in TypeScript and I would like to know if you can show us how it is done in Visual Studio 2017. Up to this point, I have been using “npm react-create-app my-app –typescript” command line to create my project. Thank you for this great article on making react app in visual studio 2017 with asp.net core.I was searching for this article until I reached here. 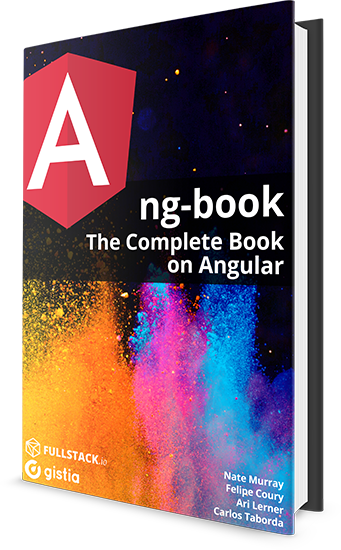 Can you also write the similar article on Angular 7 to. Thank you. You can find the angular 7 article here..
ditto here. more on authentication with .net core and react please ! Thanks !